Looking for some online music maker that can bring your music creativity out? 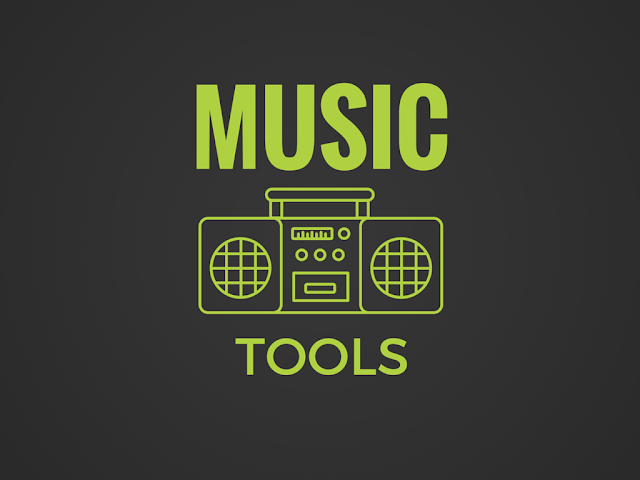 We have compiled a list of best tools music lovers can use. Using these tools you can make your own beats or create a music remix or even make your own song. If you are not a music creator you may like to download songs on your phone and enjoy the music created by music artist around the world. One of the best and full-fledged music making tools, this app enables you to control every part of music, whether you want to start from a scratch or require a template to work. If you are still on the learning curve, then this is one of the best music tools for you as it offers extensive information about your choices. A simplest online music maker, that employs a cellular automaton logic type generative sequencer to create the sound of music. As per the coder, this is the best choice for music practice. Make your own beats with this online device while practicing music. This online tool produces a metrical and regular beats that was only possible in the past with a complex mechanical device that resembles an oscillating pendulum. Create your own music sample or sound loops with this music tool online. After the creation of the music sample or the sound loop, you can download them and share it with the whole world. Create your own music or sound beats with this free online beat maker where you can experiment endlessly for creation of perfect musical notes to share with your friends and family. Create unique sound beats and rhythms with one of the best and user-friendly beat making tools online that enables you to experiment with various instrumental sounds, chorus and sound loops. Become a singing sensation with the creation of music tracks, alter the sound quality, adjust the tempo and remix a song and use it for your multimedia productions. This tool is a lightweight online version of the Garage Band. Enjoy creating or remixing sound tracks online with a gallery that provides 400 free sounds, upload or record new sounds with in-built keyboard and instruments. Remix and download them to share it with your friends everywhere. An online music making tool, that uses sound samples, music theory and algorithms for the generation of the new sounds. The visitor can choose the required samples from 15 genres and alter pitch mapping, instrumentations and rhythms to make their own music and download it. Customize music with this free online program that enables you to experiment with rhythms and drum-set sounds. With the availability of the virtual drum-set, you can also customize the selection of cymbals and drums. Enjoy making and sharing music with your friends on this online powerful music studio that has professional features such as virtual instruments, over 700 free sounds and loops, effects and recording even if you are working at an amateur level. A powerful music creator online, you can use it to create the world-class sounds, it offers the most advanced sampler and two powerful synthesizers. Enjoy making music online easily and quickly with this free online beat maker. Plug in your instrument or use the software instrument to record a song on your computer. Create your own music with this online beat maker that uses 8-bit samples and sound to create musical sequencer. It uses an advanced tracker interface for accepting your note input and create music. If you enjoyed the old analogical synth architecture, this is the best place to retrieve the entire old-school patch bay and go back to the golden musical era. Also, reconfigure music in countless combinations with this spaghetti-junction. Create your own music tools, combine the sounds and use various post-processing tools such as chorus, tremolo, delay, reverb, EQ, compression and distortion for the creation of unusual scales and share it with friends. Built by Nikolay Tsenkov for his personal amusement, this is a simple synth that can be played on your computer keyboard. One of the best beat making tools; it is available with 30 presets and can be customized with your collection. Retrieve the basic 80s drum patterns such as Techno, Acoustic, House, Electro and Hip Hop, download and customize various elements of all genres such as the volume and pitch of music. You can also record and export the patterns. If you consider yourself as a future Josh Wink, start your experiments and create some serious music with drum machine and 2 Roland TB-303 sounds. For inspiration, you can use randomized buttons and export your creation. With these websites, you can create basic riffs or a comprehensive multi-track recording. You can export the recorded audio when making music in these sites as well. All you need is an internet connection and a browser which is Flash and Java compatible.